Spring is the time when many homeowners realize they need to add to the list of home improvement projects they have in mind for the warm months. Maybe you noticed that your siding needs to be repaired, or maybe it needs to be totally replaced. Or maybe you noticed that some shingles are missing from your roof. That’s one of the signs your roof may need to be replaced, or at least repaired. There are several other things to look at when assessing the state of your roof. In this blog, we’re going to talk about asphalt shingle roofs, as these are the most common residential roof material. 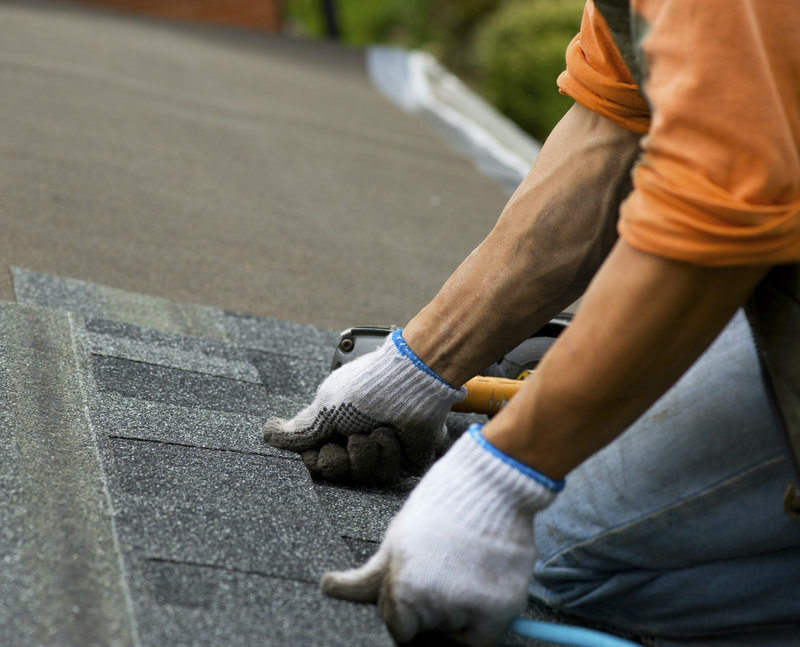 Learn about the signs you should replace your roof in this week’s blog! What are the signs you need to replace your roof? First, a quick disclaimer. Climbing on your roof can be dangerous, so we recommend you do all of the following activities from the ground, using binoculars if necessary. Some of the steps also involve going in the attic. Asphalt roofs can last anywhere from 20-40 years depending on the climate. During the first few years of its life, a roof ages fairly rapidly as it accommodates to the elements and goes through a curing process. After that, the roof enjoys a long middle period where it doesn’t age very much. Once it gets to the last few years of its lifespan, a roof will begin to deteriorate rapidly. This is a sure sign that something is wrong with your roof. Look for blisters, cracks, curling, and stains on the shingles. If these problems are limited to a certain area, you may only need to replace that part of the roof. But if damage and missing shingles are found throughout the roof, the smartest decision is to replace it. Missing shingles expose the roof to moisture and UV rays from the sun, which together will do a lot of damage to the roof in a short period of time. In this case, the sooner you take action, the better. Go into the attic and look up. Do you see any dark spots on the ceiling? If you do, it means water is leaking in through the roof and causing water damage. Water damage can cause extensive problems, so the sooner you repair the leak, the better. Moving back outside, look up at the roof and look for dark spots again. Dark spots on shingles occur when the granules in the shingles are lost due to exposure to the sun’s UV rays. This is a natural process, but once dark spots start showing up in large numbers it means that damage to the shingles has reached a dangerous level. At this point, you should start to think about repair/replacing your roof. This entry was posted on Wednesday, May 6th, 2015	at 5:22 pm	. You can follow any responses to this entry through the RSS 2.0	feed. Both comments and pings are currently closed.